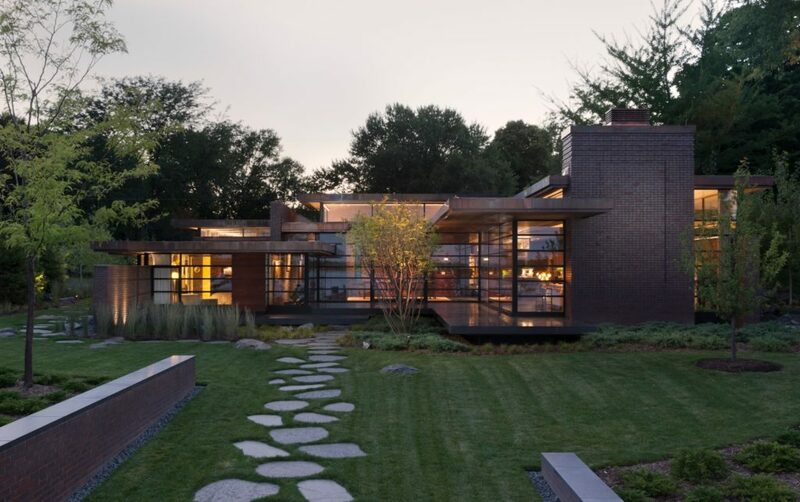 This contemporary home with a style that suits its serene surroundings, was created by architect Vetter Denk. 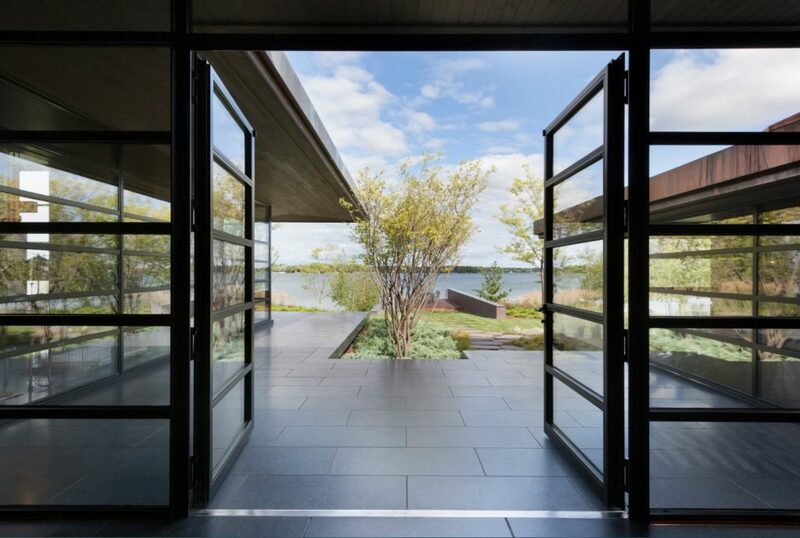 Located on Lac La Belle Lake in Oconomowoc, Wisconsin, the home makes a bold statement yet manages to maintain the area’s ambiance with the choice of Brombal’s windows and doors. 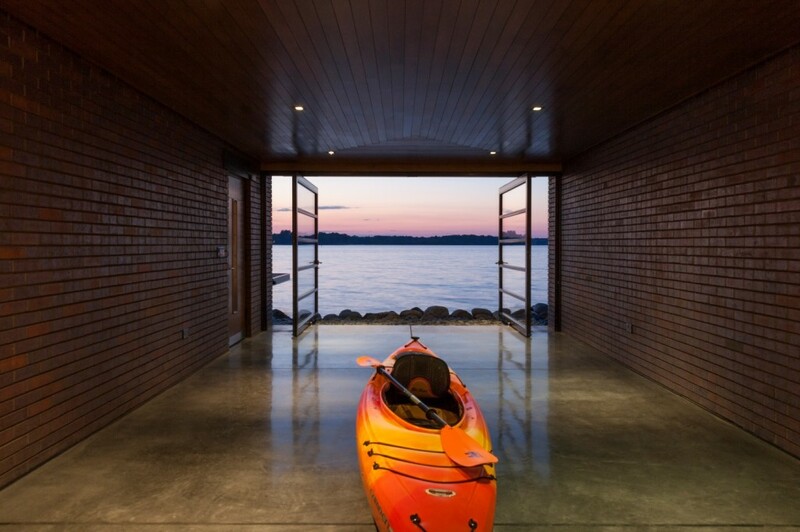 The windows and doors are wide and open, creating an unobtrusive look, and the lakeside boathouse features distinctive large pivot doors that connect the inside to the outside with a smooth transition. 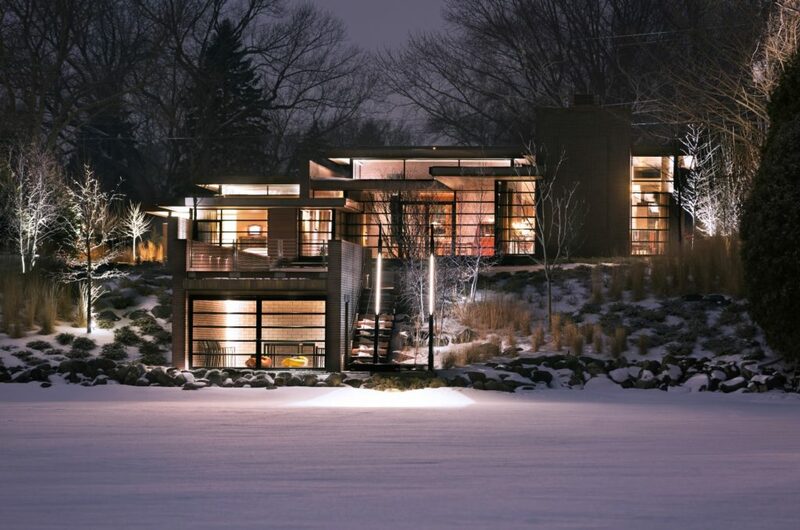 The owner of this residence is a collector whose custom home is now worthy of being a prized possession. For the area’s harsh climate, Brombal’s OS2 and EBE65 thermally broken windows and doors were the perfect solution for maintaining beauty and function, as well as the energy efficiency required. This beauty comes from the large and open frames that maintain a narrow sightline, while the function comes with the strength and energy efficiency of Brombal’s thermally broken windows and doors. Brombal is the first manufacturer with experience working with thermally broken windows since their inception and has completed thousands of successful projects. To join the frames, two materials are used: fiber glass reinforced extrusion and a high-density polyurethane resin injected under high pressure; this process ensures a continuous bond while providing structural strength and maintaining thermal insulation.The windows were hung on heavy duty hinges that were finished to match the frames- galvanized steel powder coated, along with concealed multi point hardware to ensure a weather tight seal, a standard on all Brombal units.